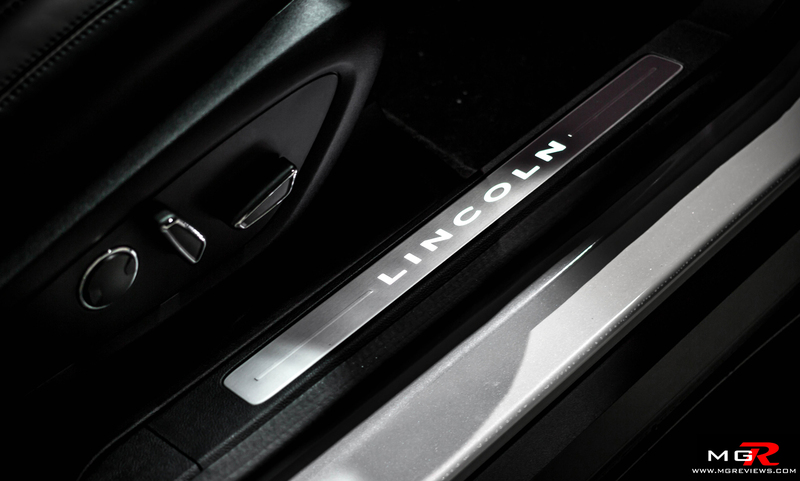 Completely new for 2015, Lincoln has introduced a brand new crossover vehicle that is attempting to put a kink in the armor of the Audi Q5, BMW X3, and Mercedes-Benz GLK. But can the new kid on the block take on the established Germans’ quality and prestige? Read on. 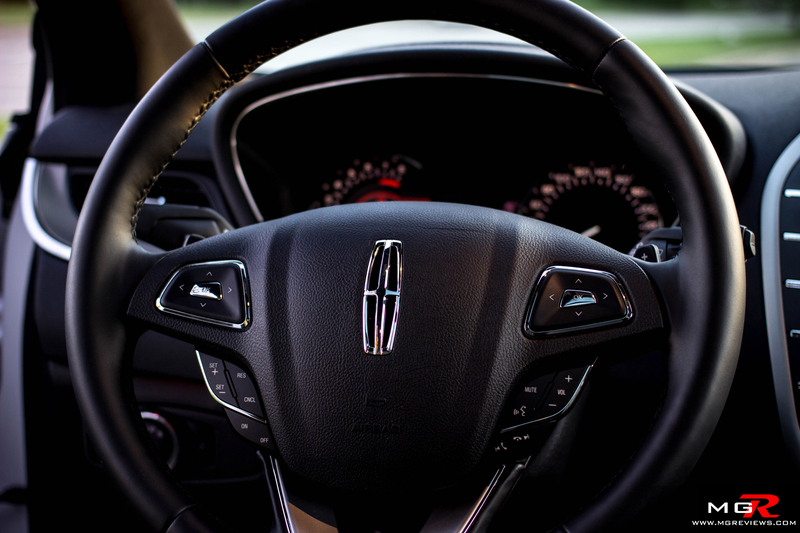 Performance – In the past, Lincoln vehicles were basically just re-badged Ford vehicles with some leather and a higher price tag. 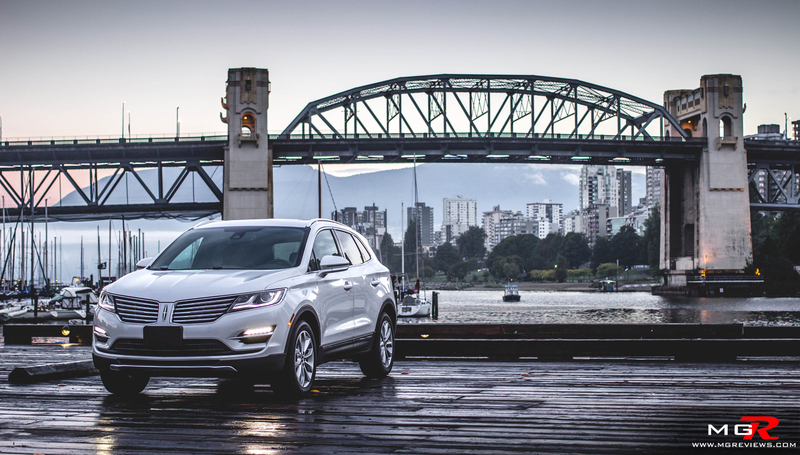 This new Lincoln MKC shares a few of its parts with the Ford Escape but for the most part it is a brand new vehicle. 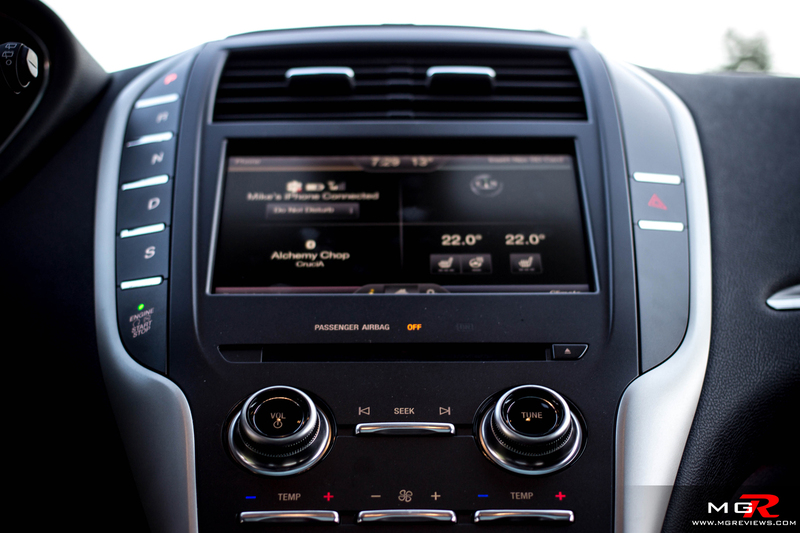 One of the few components that it shares is the Ecoboost engine. This particular model is equipped with the 2.0L turbocharged inline-4 that produces 240hp and 270 lb-ft of torque and is capable of delivering 12.4L/100km in a city and 9.0L/100km on a highway. Those figures are within the same range as its German rivals and in some cases, even better. 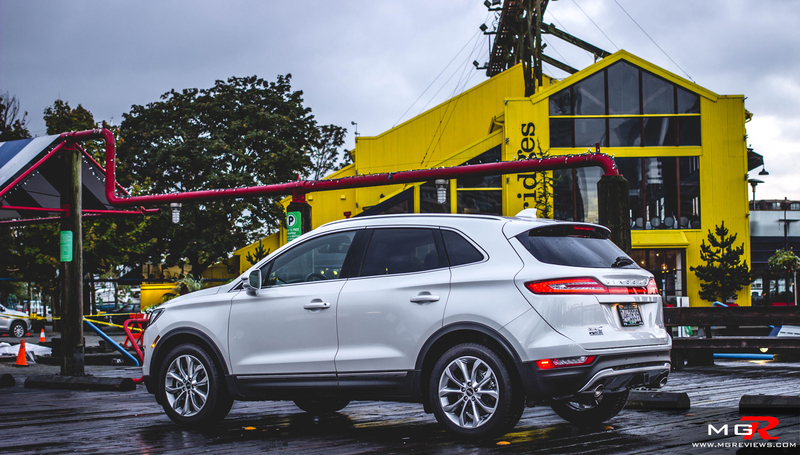 Like the Ford Escape, the 2.0L engine provides good amount of power throughout and it is enough to satisfy most people’s needs. However if you’re wanting for more, there is a 2.3L engine option that bumps up the power figures to 285hp and 305 lb-ft of torque and again, those figures are within the same range as the 6-cylinder counterparts that the Germans offer. 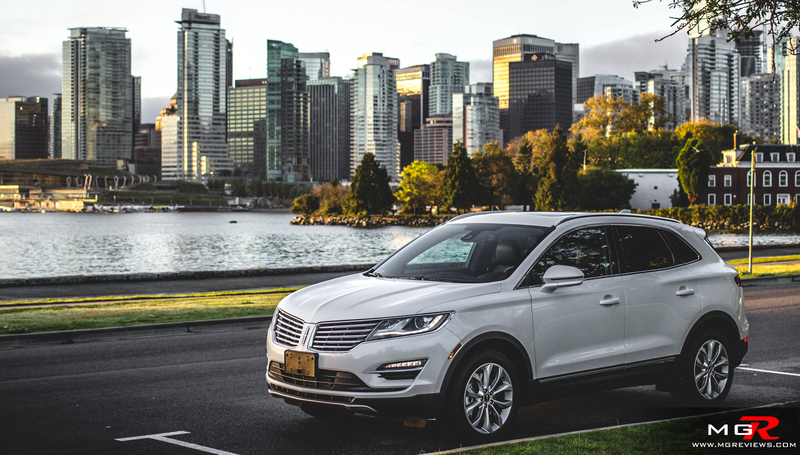 Both engines are mated to a 6-speed automatic transmission and Ford’s own intelligent all-wheel-drive system with torque vectoring technology. Without getting into too much boring details, torque vectoring is a system that sends more power to the outside wheel during cornering to help the vehicle turn more and reduce understeer. 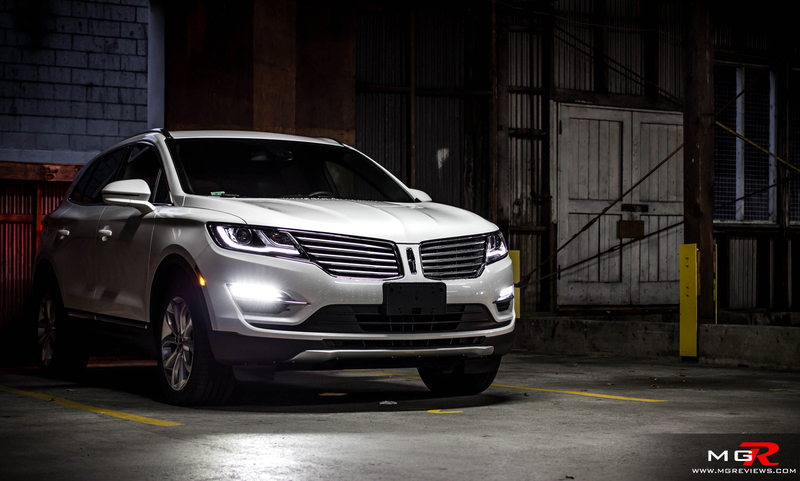 On the move the Lincoln MKC is smooth and remarkably quiet. 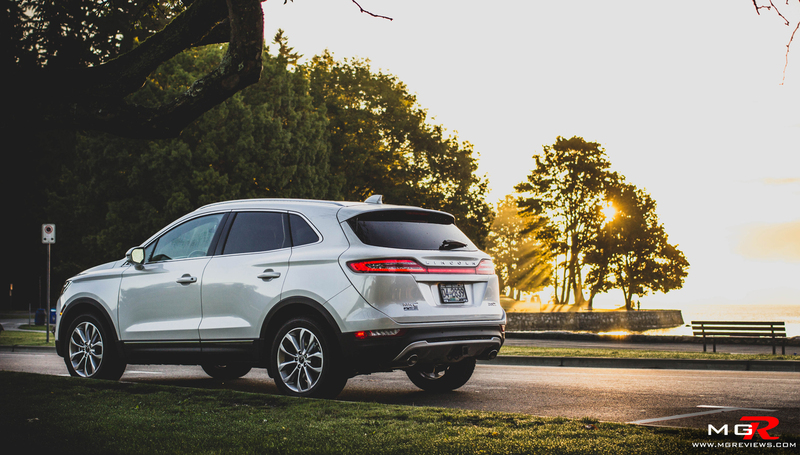 Thanks to the active noise-cancelling system, the interior of the MKC can be as quiet as a hybrid or all electric vehicle in certain driving situations. 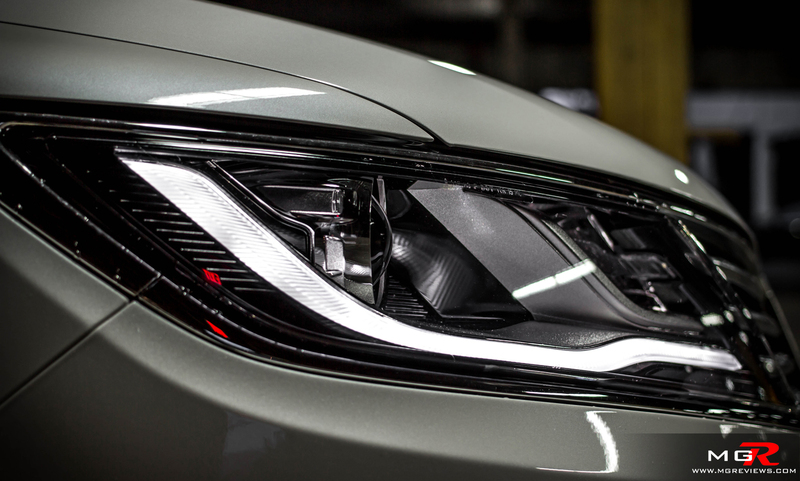 It is so quiet in fact, that if you were to step in the MKC blindfolded, you could easily mistake it for a Mercedes-Benz. 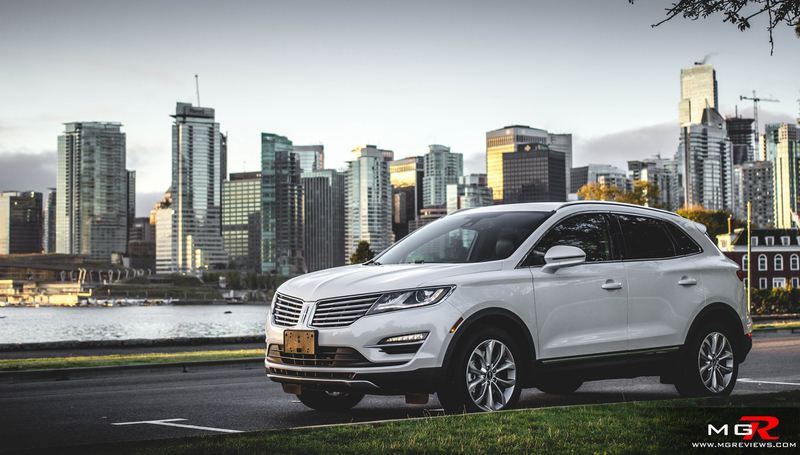 When the roads get twisty, the Lincoln MKC benefits from having a similar chassis as the Ford Escape which is widely regarded as one of the more sporty crossovers on the market today. 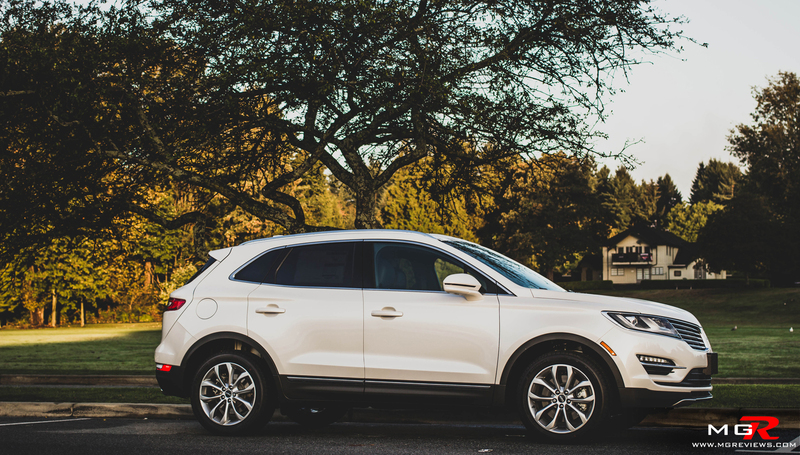 Coupled with the intelligent all-wheel-drive system, the MKC feels stable and composed through tight corners but like the Ford Escape, the steering could do with a bit more feel. 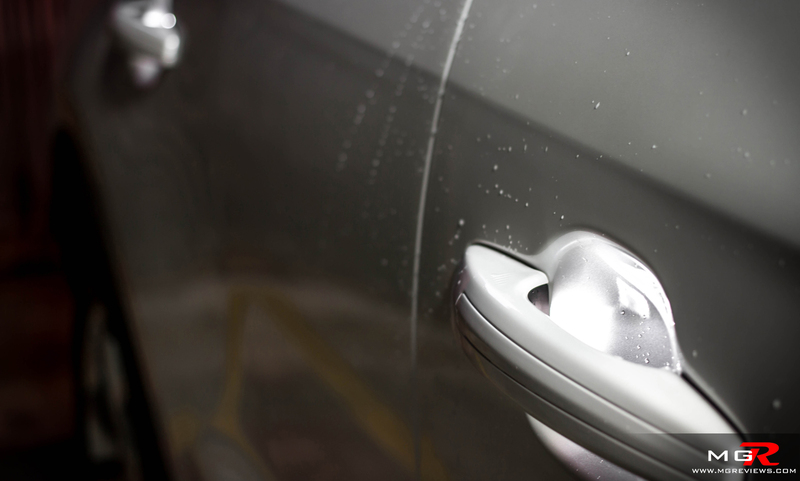 Comfort – The feeling of quality and elegance can be felt as soon as you step inside the cabin. 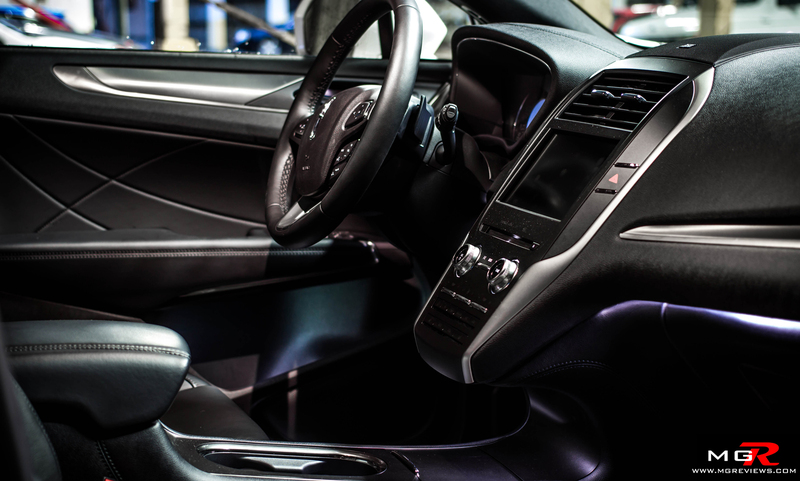 Soft materials cover the dashboard and door panels and are accented by the aluminum trim and the optional ambient lighting package. 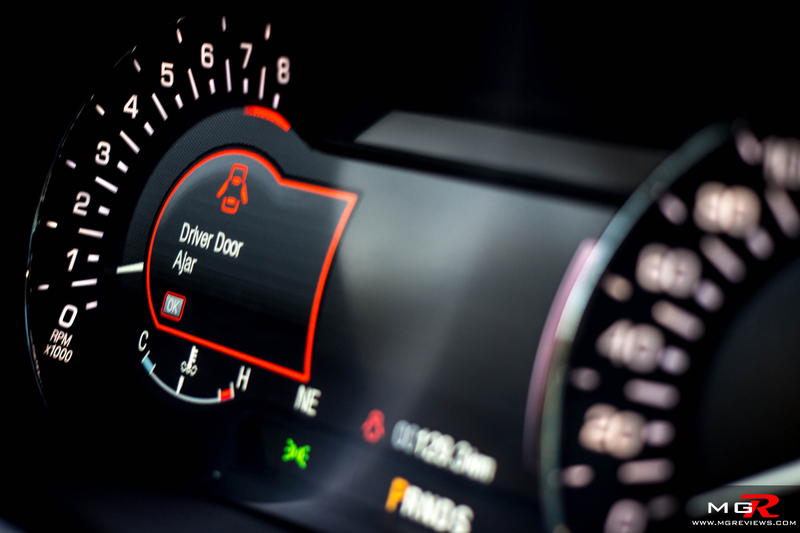 The design of the dashboard and instrument cluster is minimalistic and features an 8-inch LCD touchscreen that controls the SYNC system, satellite navigation, radio, and climate control system. 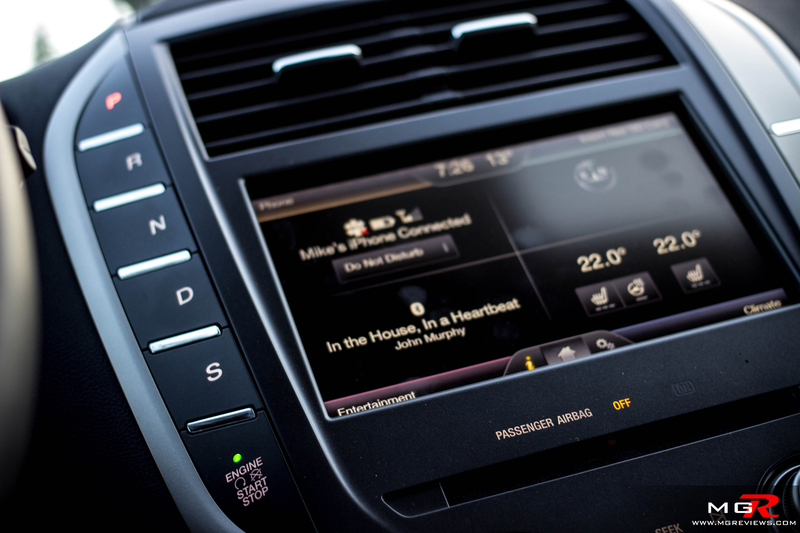 To the left of the touchscreen is a stacked selection of button which is in fast the gear selector. 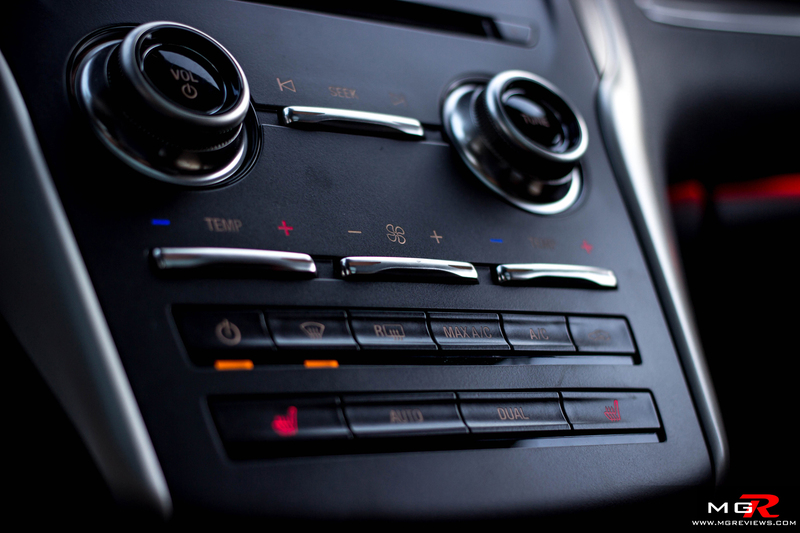 It is a clever idea to place the gear selector on the dashboard because it does away with the traditional selector on the center console and replaces it with a storage compartment. 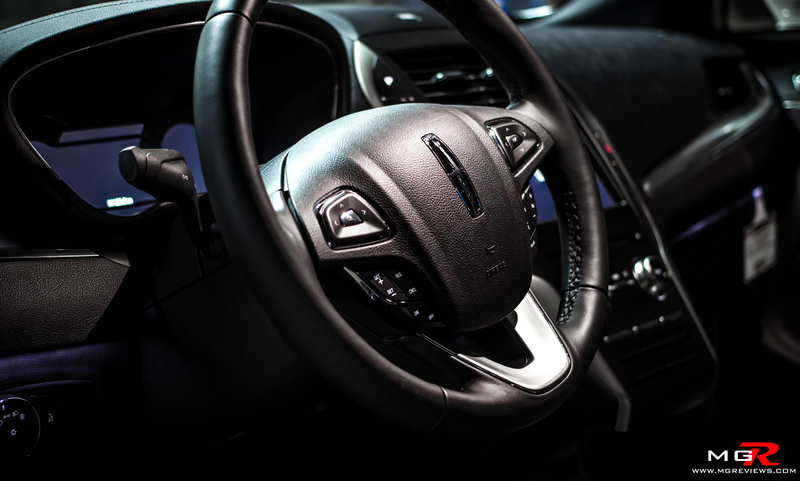 Overall the interior esthetics of the Lincoln MKC are very well designed and to some, myself included, look better than those found in its German rivals. 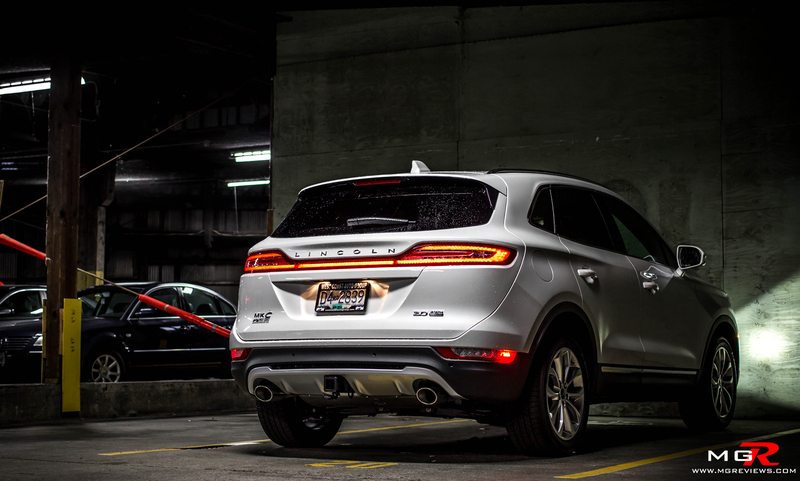 Unfortunately space is something that the Lincoln MKC could do with more of. In the front there is enough head and leg room for tall adults but in the rear leg room is compromised and is not sufficient for people over 6’ tall. Also the cargo capacity is less than the cargo capacity that the BMW, Audi, and Mercedes-Benz offer at just 1505L with the rear seats folded. 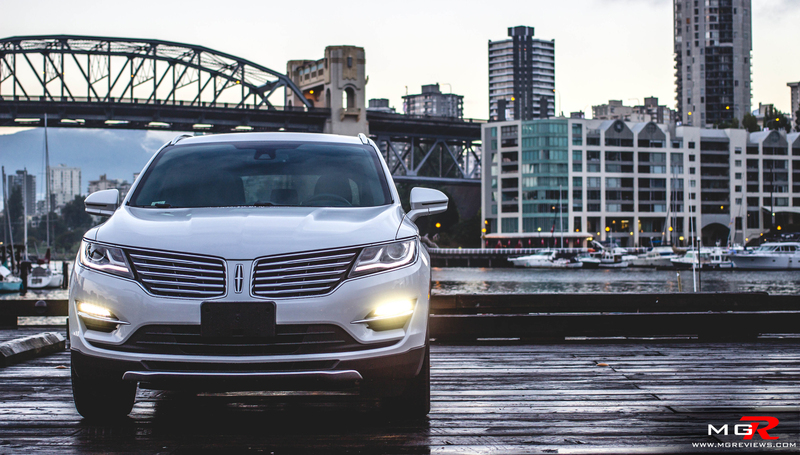 Odds and Ends – The exterior styling of the Lincoln MKC follows the same principle as the interior, minimalistic and elegant. 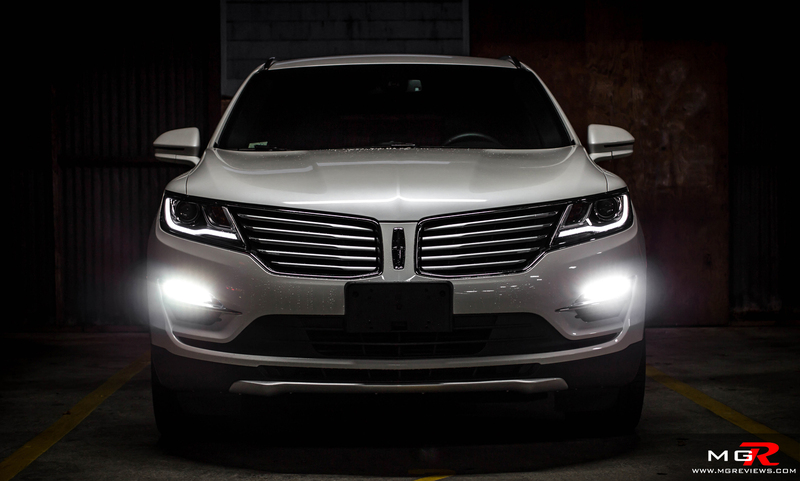 The front has Lincoln’s new wing-like grille that flows into the headlamps that are accented by a strip of LEDs. 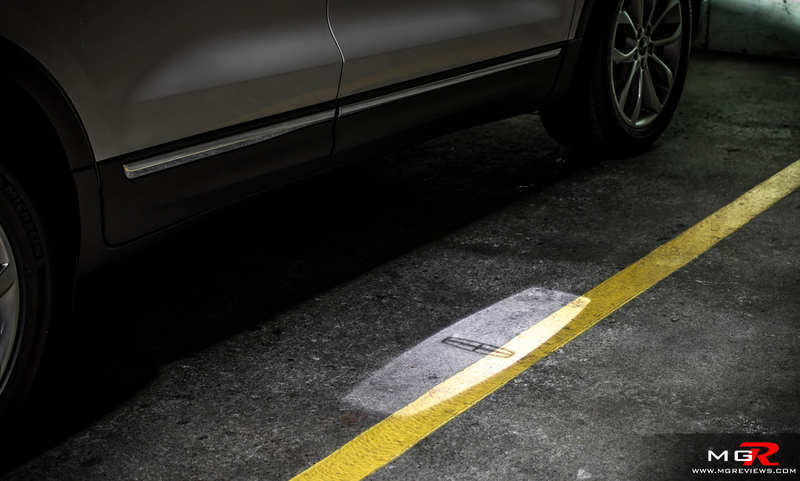 On the side, the door handles are illuminated and under the mirrors, the Lincoln badge is projected onto the ground … in case you forget that you’re about to step into a Lincoln. I find that feature a bit “cheesy” on a luxury vehicle such as this. 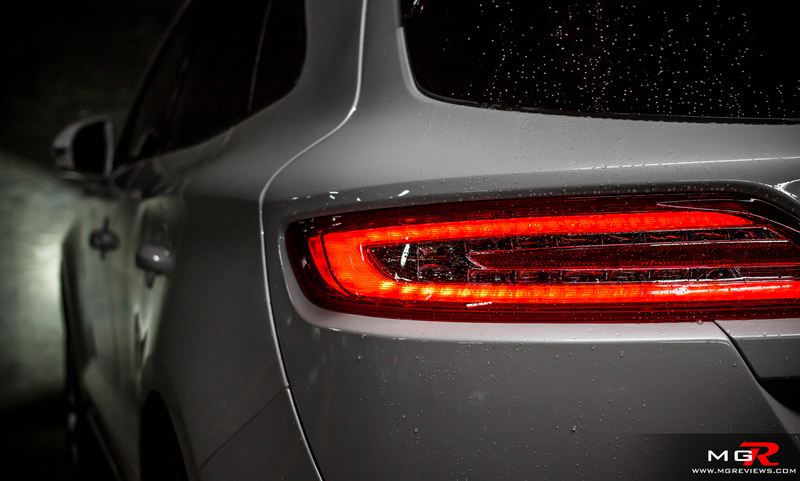 Around the back, another strip of LEDs extends from one side of the MKC to the other and turns back on itself to make up the taillamps. 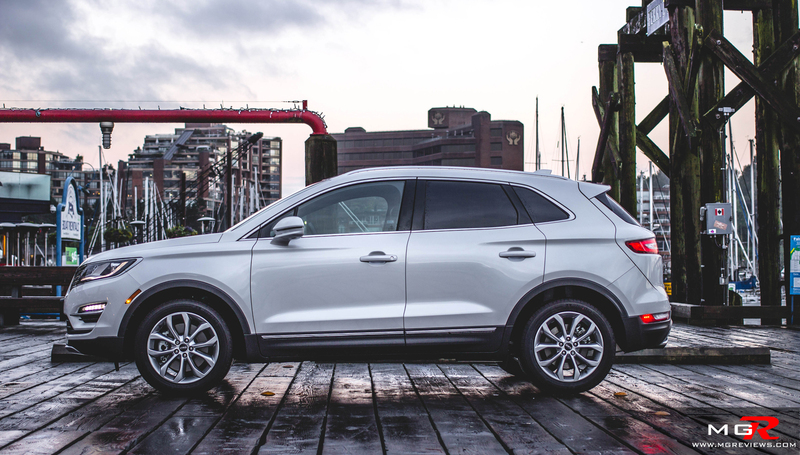 Overall, the exterior design is pleasing to the eye but it looks as though this crossover belongs in an urban environment. 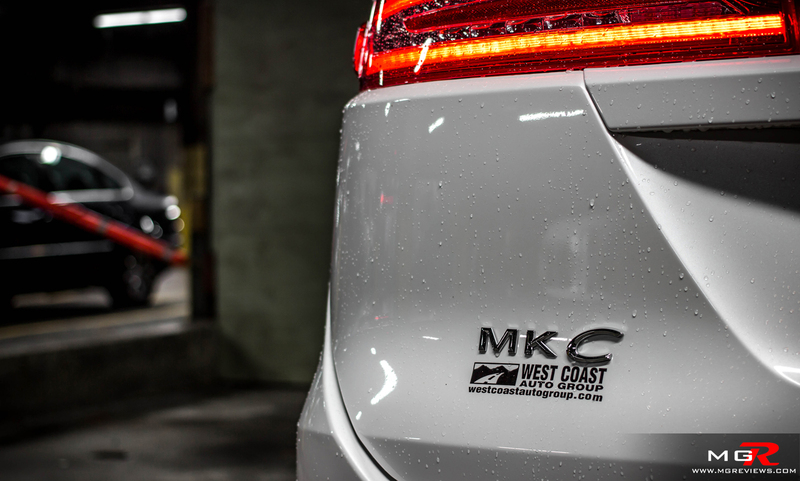 I can’t imagine the MKC out in a field or driving through a forest on a remote road, it just doesn’t seem right. 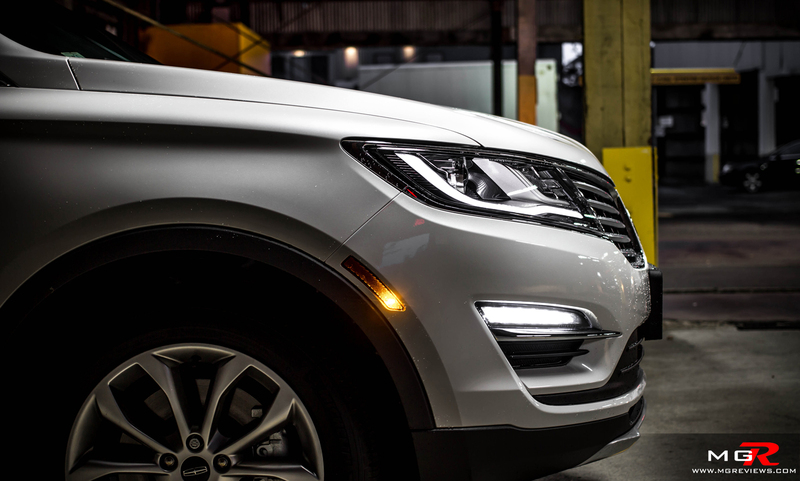 The Lincoln engineers have also taken the steps to outfit this new crossover with the latest in safety equipment. 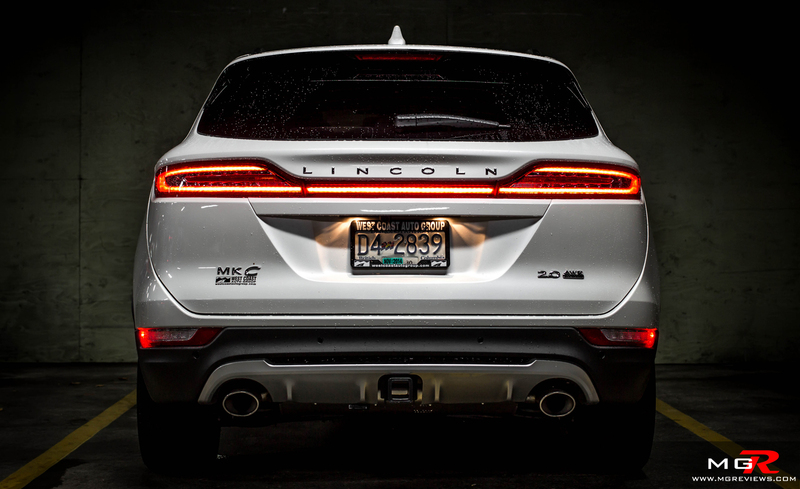 In addition to a wide range of airbags, this Lincoln MKC can also be equipped with lane departure warning, blind side monitoring, and adaptive cruise control with collision warning. 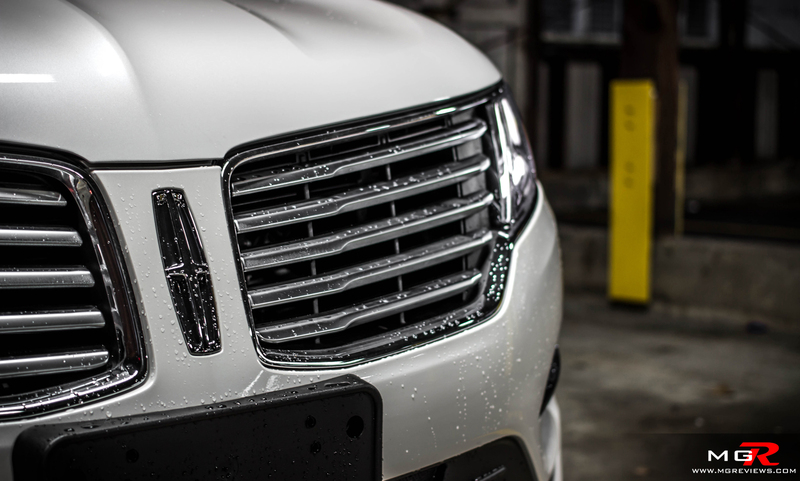 In the end, Lincoln has come a long way since its past when the cars used to be just re-badged Fords. Now they are almost completely new vehicles built for the sole purpose of competing and surpassing the established luxury auto manufacturers. One key area where it surpasses its rivals is in the price. 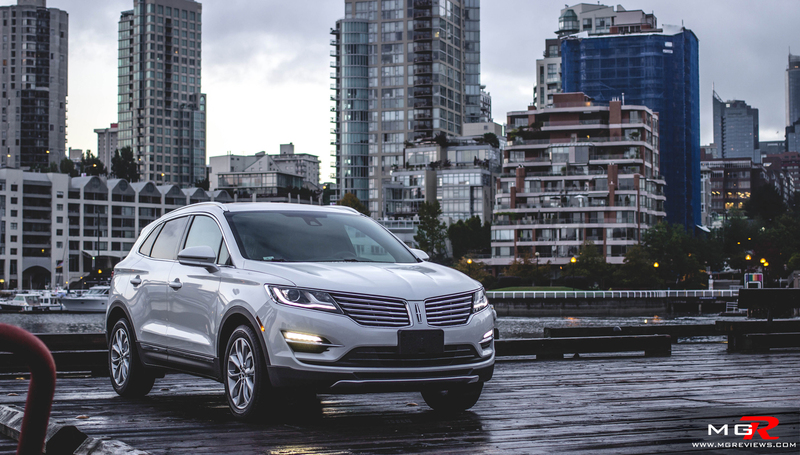 The Lincoln MKC starts at $40,000 and this well equipped 2.0L model as tested is $50,000, almost $4,000 less than an equivalently optioned Audi Q5 and BMW X3.